We think the introduction of the 2010 Hyundai Sonata was a turning point for the Hyundai brand in the U.S. market. The totally redesigned Sonata was stylish, well-built and fun to drive. And the American car market responded with sales of the Sonata jumping 63 percent that year. Sales increased for a few years but have dropped recently under strong competition in the mid-size sedan segment and with the massive popularity of the SUV/crossover market. 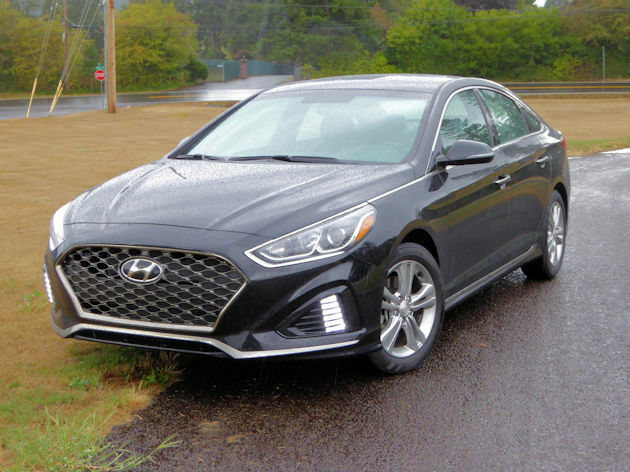 Hyundai did a mid-year makeover of the Sonata in 2018, and the new version, which carries over to 2019, is better than ever still ranking as one of the top models in its class and one of the best values. 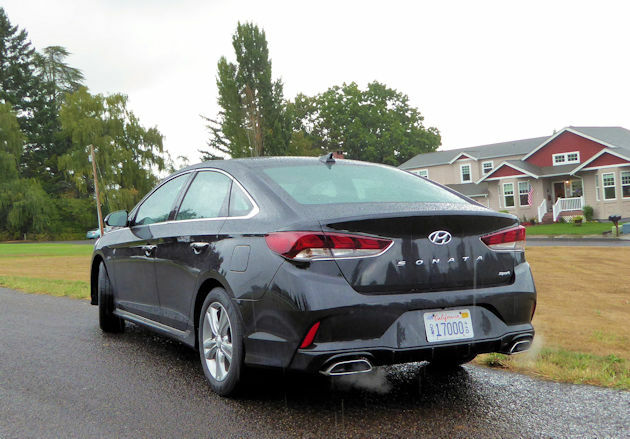 We spent a week in the new Hyundai Sonata Sport, which falls in the middle of the trim levels offered. 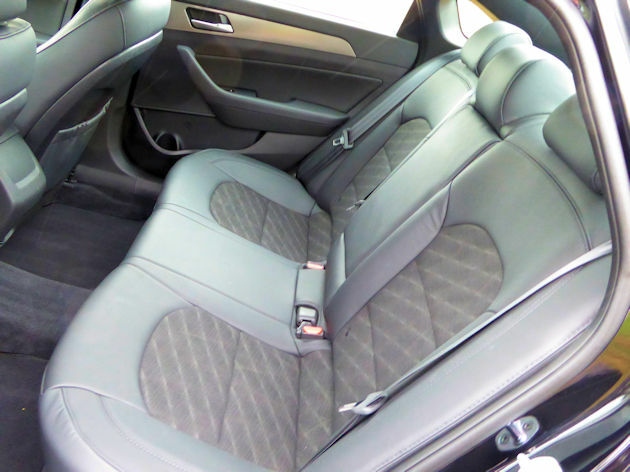 The ergonomics, comfort and value are outstanding, but we thought the Sonata had lost some of its cutting-edge design elements that had set it apart from the crowd in 2010. Hyundai planners and engineers deserve kudos for the level of enhancements made without adding big chunks to the price. For example, the addition of Automatic Emergency Braking, Lane Keeping Assist, Smart Cruise Control with start/stop feature and Electronic Parking Brake with the auto vehicle hold are included in the Tech Package adding $950 in value to the Sport model. The Limited trim level Tech package has even more adding to the Sport trim list a sport mesh grille, wireless phone charging and a heated steering wheel. A 185-hp 2.4-liter DOHC four-cylinder engine with Dual Continuously Variable Timing powers the base models driving the front wheels through a six-speed electronic automatic transmission. This combination produces average performance for the category making a 0 to 60 mph acceleration run in 7.4 seconds according to buff magazines tests. The 2.0T engine upgrades performance in the Limited trim level with its 245-hp 2.0-liter four-cylinder engine with a twin scroll turbocharger. It uses an excellent eight-speed automatic transmission and the combination drops the 0 to 60 mph acceleration time by nearly one second, but it is slower than many comparable competitors. The turbocharged four-cylinder engine performs like a V-6, but it has lighter more agile feel because it only weighs 3,364 pounds. The EPA rates the 2.4-liter engine at 25 mpg city, 33 mpg highway and 28 mpg combined ? the turbocharged 2.0 liter has a 23/32/26 mpg rating. During a week of running around town and local freeways we averaged 30.3 mpg according to the trip computer. Sonata is also available in an Eco version powered by a 1.6-liter turbo four-cylinder using a seven-speed EcoShift? Dual Clutch Automatic Transmission. 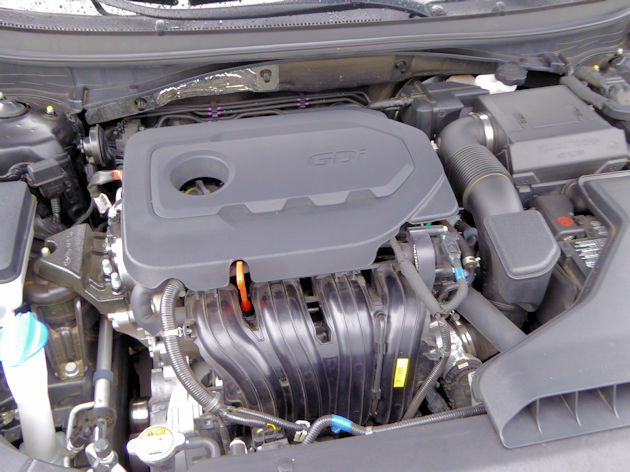 This engine boosts fuel economy to 28/37/31 mpg. We appreciate the tweaking that was done on the Sonata suspension. Driving the mountain roads near our home the Sport felt confident and well balanced, which made us happy drivers. 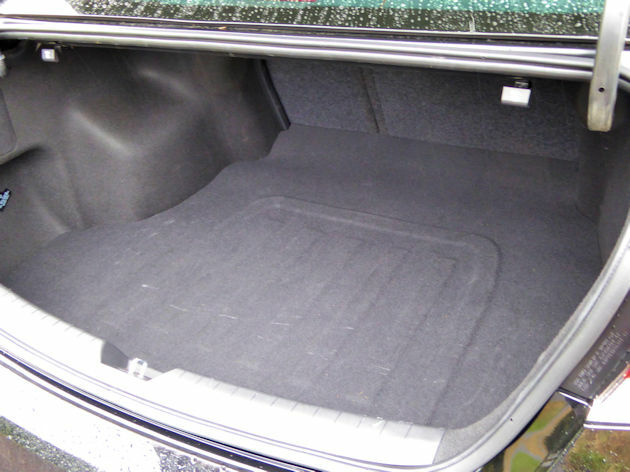 The car is comfortable and roomy with plenty of headroom for taller passengers even with the sloping rear roofline. The Sonata gets high marks for safety with its good visibility and important safety equipment like blind spot detection and available features (on higher level models) like Smart Cruise Control, Rear Parking Assist, High Beam Assist, Lane Keep Assist along with several other safety features. The Sonata has an overall 5-Star Safety Rating in testing done by the National Highway Traffic Safety Administration. 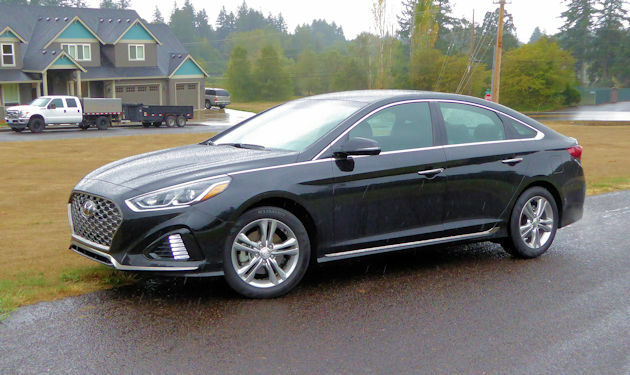 The 2019 Hyundai Sonata is available in six trim levels including SE, SEL, Sport, Limited, Limited 2.0T and Eco. Pricing ranges from $23,420, including the destination charge for the SE up to $33,020 for the Limited 2.0T. The Eco is priced just $350 more than the SE. There are no options, other than after market-style accessories on the Limited. There is also a Hybrid Sonata that has a starting price of $26,385. In addition to being an outstanding value, Hyundai sweetens the deal with the America?s best Warranty, which Hyundai has offered on all their vehicles since 1999. The warranty includes a 10-Year/100,000-mile Powertrain Warranty, 5-Year/60,000 New Vehicle Limited Warranty and a 5-Year/Unlimited 24-hour Roadside Assistance program. 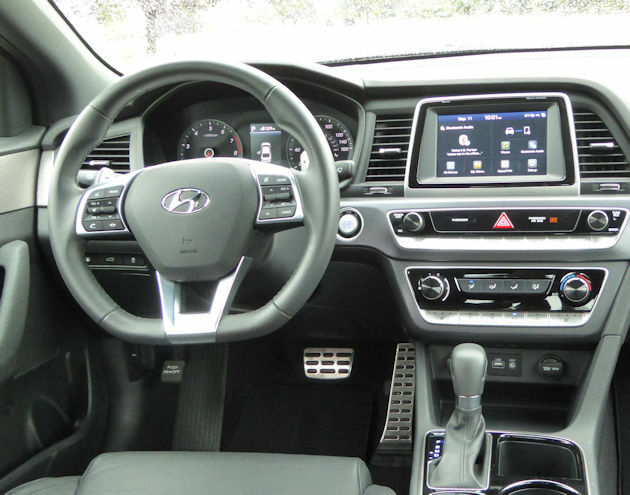 They also have a complimentary 3-year subscription to the Hyundai Blue Link connected car service with remote, navigation, safety, security, maintenance and convenience features. The Hyundai Sonata is a good choice in the field of mid-size heavy hitters and it comes out to be one of the best values.